DW.YAM: Tim Keller's 'Reason for God: Belief in an Age of Skepticism' series is here!! 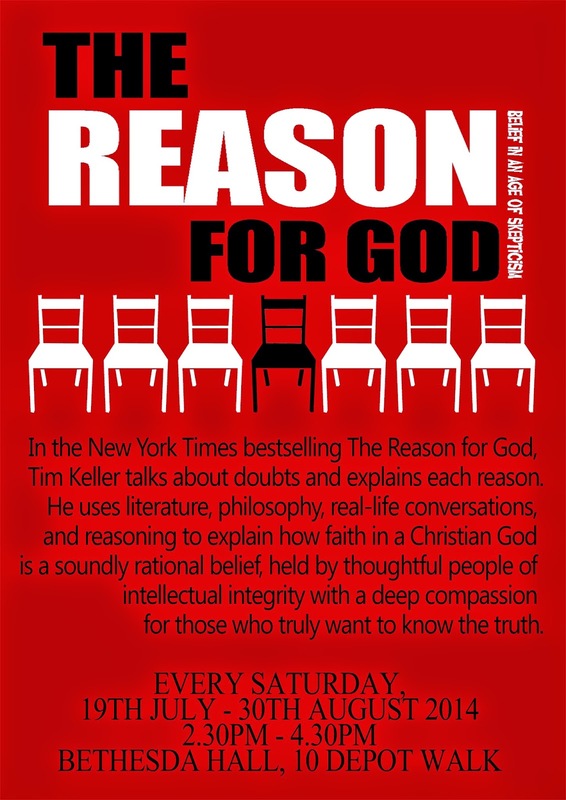 Tim Keller's 'Reason for God: Belief in an Age of Skepticism' series is here!! The following program is a DVD series that will be conducted at Bethesda Hall (Depot Walk) by DWYAM. We hope to see you there! Each session will be held every Saturday, from the 19th of July to 30th August, 2.30-4.30pm at Bethesda Hall Depot Walk.